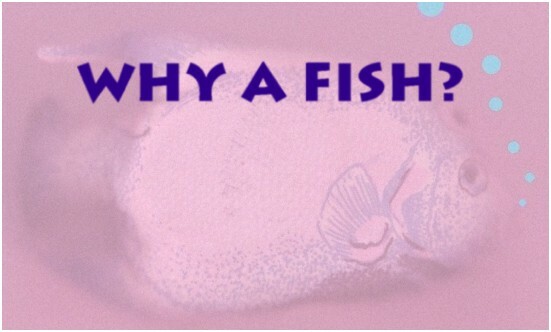 To explain 'Why a Fish? ', I'll tell you about a dream that I titled "It Takes Time". I'm watching myself from a distance. This other me stands on the back of a deep-sea fishing boat with a pole in his hands. Yes, I'm after the big fish. But I can see that the boat is going way too fast. I think to myself, "You'll never catch anything at that speed." It was one of those rare occasions that I understood a dream immediately upon awakening. The problem was obvious. I was rushing through my dream work, going way too fast. If I really wanted to bring anything up from the deep waters of the unconscious, I had to slow down. The line needed time to sink, to go to the depths. "To fish in this sense is to do one's inner work--work on dreams, meditation, active imagination, drawing, music, or poetry--any form of inner work that is rich to one.